All Samsung Galaxy S9 stock apps are now available for download. Here we share the direct link to Download Samsung Galaxy S9 Apps for Samsung Devices Running on Oreo. Galaxy S9 released recently and the XDA Senior Member AlexisXDA already ported out the apps that will be pre-installed on the Samsung Galaxy S9. The device comes with latest Android 8.0 Oreo which includes all latest updated apps and launcher. 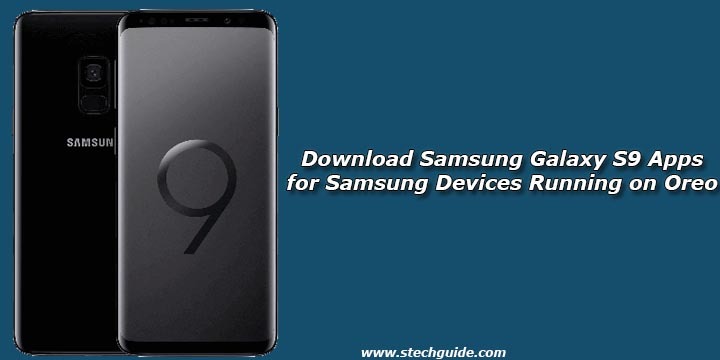 Download Samsung Galaxy S9 Apps for Samsung Devices from below. We provide you the link to Samsung Galaxy S9 Stock apps. These apps come preloaded on new Samsung Galaxy S9. These apps are almost similar from the apps which we have seen on Samsung Galaxy S8 when considering the functionality. The Galaxy S9 apps include phone and Contacts app, Incall UI, Browser, Clock, Calendar, Messaging, TouchWiz Home, Task Edge, gallery, calculator, etc. Download Samsung Galaxy S9 Apps for Samsung Devices from below. These Samsung Galaxy S9 stock apps are working perfectly on Touchwiz Oreo, you can download the TWRP flashable zip of Galaxy S9 apps from below. Download Galaxy S9 Stock Apps Zip file from above and save it to your device. Make a complete backup of your device before proceeding. (Uninstall your current Samsung Browser and Samsung Calculator before proceeding). Let go of the Power Button once the phone turns on while still holding down the Bixby and Volume Up Button. Now, Go to Install and select the downloaded Galaxy S9 Stock Apps Zip file and swipe to Flash the same. These are all the Samsung Galaxy S9 apps which are available for now. We will share the more apps as soon as it will be available, until then Download Samsung Galaxy S9 Apps and share it with your friends.